The very rapid introduction of drone (or unmanned aerial vehicle – UAV) technology into everyday life has led to an explosion of potential uses, including for vineyards where they may well be very useful. However, there are very real difficulties in managing this explosion in ordinary (civilian) life. Examples where problems have arisen include: hampering of firefighting activities, endangering airspace, the use of drones to spy on neighbours, the worrying appearance of combat like drones available for sale. There are issues of privacy (images for real estate, surveying firms), or unwanted intrusions into personal life. Thus, the responsible use of drones is essential, and the high profile media coverage of some recent events mean that the industry should proceed with caution. UAV technology is available for vineyards through commercial operators who will be very careful to observe regulations, and who will be fully aware of possibilities and responsibilities. Lincoln University viticulturist Dr Val Saxton has investigated one drone use – to see if they can reduce bird damage to grapes. The experiment was carried out in Hawkes Bay. A small UAV powered by a 9 volt battery was used. 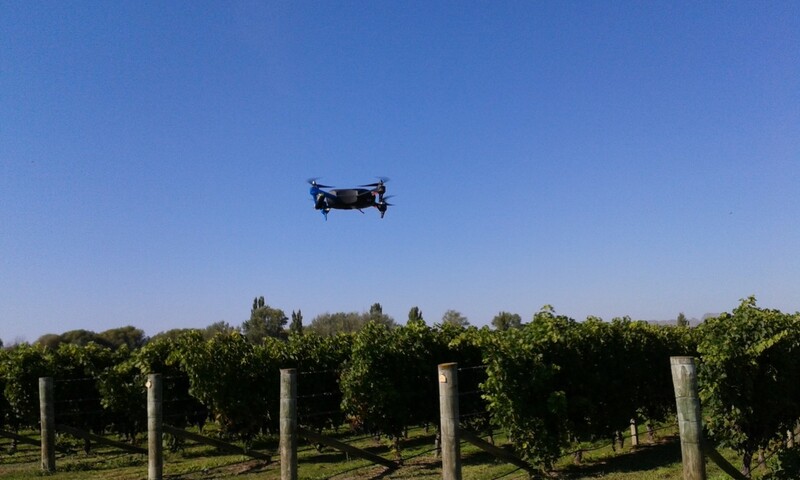 The drone did not fly higher than 30 m or further than 50 m distance from the operator and always within line of sight, to see if it would affect bird numbers or bird damage to grapes (Merlot) compared with a similar block where the UAV did not fly. There was much less damage in the interior of this block compared to the control. Because starlings are known to descend into the middle of vineyards this makes sense and indicated that the UAV had probably moved the starlings off the block. Starlings are a flocking species and where one goes the others follow. We hope to build on these results next vintage. In New Zealand on August 1st 2015 new drone regulations require UAV pilots to secure permission and give notification for the commercial use of UAVs over public or private land, below a height of 400 feet, and during daylight hours and within line of sight of the controller, and not within 4 km of an airport. For use outside these regulations permission must be sought under CAA rule part 102. 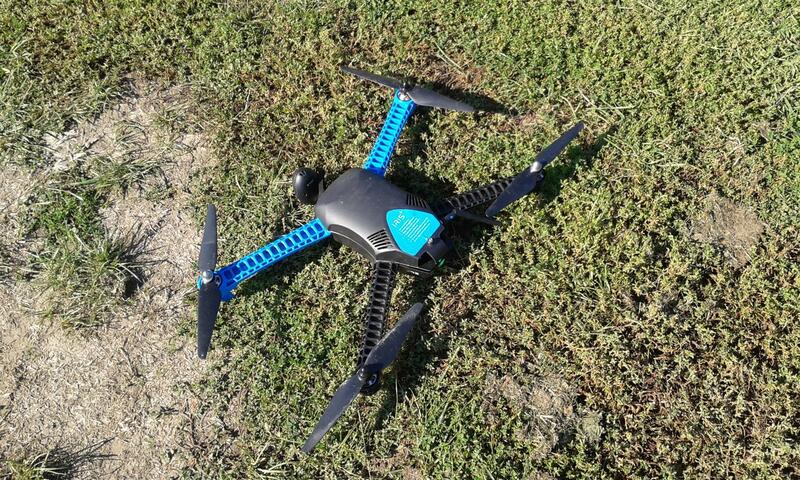 This means that using drones in vineyards that are not on public land and where the owner has consented could be a useful tool in the management of vineyards, for precision viticulture, for soil surveys and for scaring birds. Whatever the use, responsible flying should be the rule.